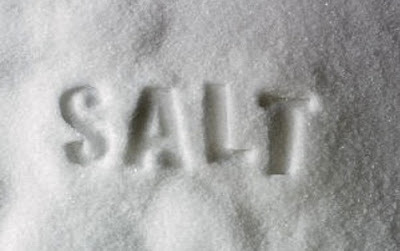 Weighty Matters: Is Dietary Sodium Just a Marker For A Crappy Diet? Is Dietary Sodium Just a Marker For A Crappy Diet? I once referred to salt as a "dietary red herring", whereby I wondered whether or not in modern first world nations the risks extended to high dietary sodium consumption might be indirect whereby high dietary sodium consumption serves as a marker for the consumption of nutritionally awful, highly processed garbage which in turn confers the risk. A paper published online just 2 days ago in the journal Pediatrics fits that narrative. In it authors looked at the dietary recall data from 4,283 Australian children between the ages of 2 and 16 (obviously the younger ones' data came from their parents). They explored the relationship between reported dietary sodium consumption and the consumption of sugar sweetened beverages. Unfortunately that's pretty much all they looked at diet wise. The quality and quantities of macronutrients weren't explored or controlled, nor was where the food was purchased (restaurant vs. home made). This of course makes real conclusions impossible. But that said, they found that kids who consumed more dietary sodium also consumed more sugar sweetened beverages. The authors postulated that dietary salt intake might be increasing physiologic thirst and that consequently the saltier the food, the more soda they drink. Also possible is that kids who eat the saltiest foods are the ones with the worst overall dietary patterns. More restaurants, more processed foods, and yes, more soda pop. Whatever the mechanism, when it comes to dietary sodium reduction, and things like regulations and task forces, it may be worth looking beyond the usual debate about blood pressure and also consider whether or not sodium has a unique role in driving hyper-palatable and junk food consumption, or whether or not it really is just a red herring and that folks who are found to consume a great deal of sodium, just have crappy diets.